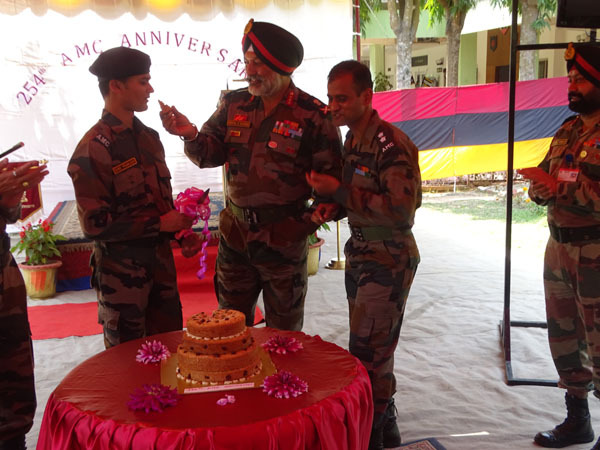 The medical unit of the Gajaraj Corps (4 Corps) celebrated the 254thedition of Army Medical Corps Day in Tezpur 4 Corps. Army Medical Corps (AMC) units in far flung and remote areas have been carrying out humanitarian services such as surgical and medical aid to the local population as part of Operation Sadbhavana activities. Apart from this, the medical units are also routinely engaged in providing medical relief to flood victims, civilians and tourists stranded during landslides and road blockage and life-saving care to victims of Road–traffic accidents. Lt Gen GS Sangha, SM, VSM graced the occasion held to commemorate this event in the 4 Corps Head Quarters and wished all the medical officers, paramedical staff and their families for their constant endeavour to provide high quality medical care to troops, families, veterans and civilians in this part of the country.